The companies of the mechanics and sub-supply world look faithfully at the end of 2014 and at the future of the division. According to the yearly survey made by Senaf, 2014 began for the 58.8% of the companies with an orders portfolio considered «adequate» to the own levels of financial sustainability (against a 35.8% that considers it insufficient). Looking at the expectations for the end of the year from the turnover point of view, the 46.2% of the companies thinks to close with an increase, the 46.1% with stability and only the 7.7 with a decrease. Same trend also for the employment: during next months, the 80.1% states that wants to keep stable the number of operators, against a 16.3% that foresees increases and only a 3.5% that envisions decreases. There is no doubt also about the future of the market where the single companies operate: for the triennium 2014-2016 only the 13.6% expects a market contraction, against a 46% that is convinced of its development and a 40.5% that believes that there will not be great changes compared to the present trend. The confidence in the own performances and in the ones of the market is translated, almost for all the companies, into an investment in research and development: the 61.9% states to invest up to the 15% of its own turnover, whereas the 16.5% more than the 16%. 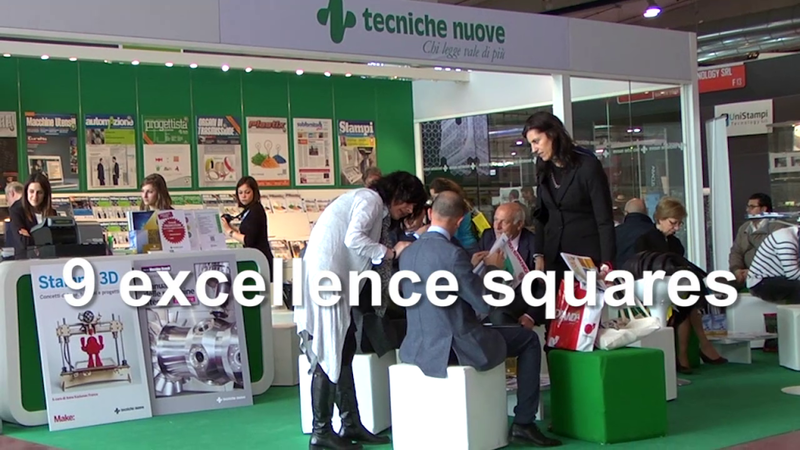 In order to help the companies and the division to orient among the best available solutions, MECSPE will come back in 2015 (Fiere di Parma -Parma Fairground-, from the 26th to the 28th March) with its 8 trade shows, that will suggest machines and technologies, in which the companies can invest, and with its Demonstrative Units that will show live production processes, thanks to working machineries. The 2015 edition will also develop many initiatives addressed to automation and logistics, elements that (if optimized) contribute to reduce wastes and mistakes, making companies more productive and competitive. «The steady update about technologies and processes is essential, because it assures the companies the highest competitiveness and allows to differentiate from the own competitors – states Emilio Bianchi, Senaf director – But among the elements that create a distinction between one company and the other one, it is impossible to ignore the role played by training. A competitive company is a company that not only has the best technologies but also a skilled team able to keep up with the production evolution. And our survey clearly reveals that the companies understood it». Coming back to MECSPE survey, it is possible to see how workers’ training is an essential asset for the companies of the division: the 87.3% foresees investments in this. In particular the 31.8% foresees up to 10 hours update course, the 24.5% between 11 and 20 hours, the 20% between 21 and 30 and the 10.9% more than 31. Also during next months, in spite of the financial situation that obliges to cautious investments, the budget for update courses for the operators of the planning and production area will not be reduced (this is what the 69.1% states) and someone (19.1%) thinks about its increase. «Our survey reveals as much clearly how much important is for the companies the research of young graduates, who has to be integrated into the company and who are able to bring the energy, the creative spirit and the curiosity typical of their age. To look for specialized operators and technicians, over the half of the companies trust the school: the 28.5% turns to the technical institutes, whereas the 23.4% to schools and professional institutes – ends Maruska Sabato, MECSPE project manager – In order to resist the circumstance and think about long-term strategies, the companies do not need only increasing turnovers: they need new persons who approach this world with enthusiasm. This is the reason why MECSPE started, some years ago, a profitable collaboration with the CNOS (Centro Nazionale Ordine Salesiani- National Centre of Salesian Orders), that directs boys towards the production and industry world».